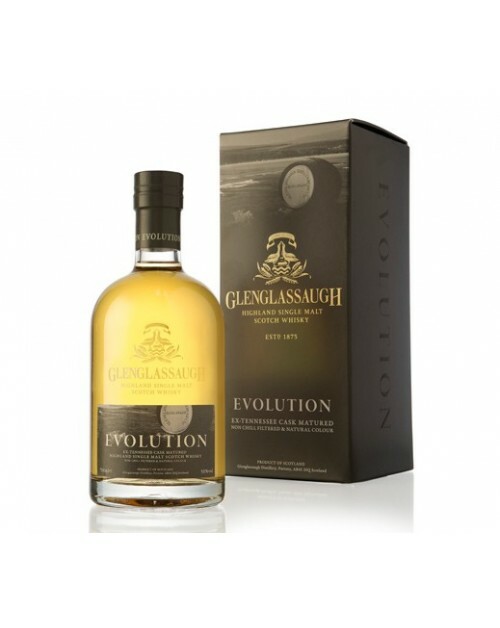 Glenglassaugh Evolution Single Malt Whisky is an exclusive expression from single variety oak cask styles. It is bottled at natural colour and non chill filtered. It was matured in first fill ex George Dickel Tennessee Whisky barrels and shows considerable depth of character and finesse. It is a harmonious combination of whisky and oak. Nose: Lemon notes with a hint of warm tablet. Palate: Vanilla and soft wood spice dance on the palate.